At the last federal election, Kevin Rudd promised an “education revolution”. However, the appointment last month of Stuart Macintyre to draft the national history syllabus for Australian high schools is anything but revolutionary. It is a return to the past with a vengeance. It is guaranteed to entrench within the teaching of history all the intellectually reactionary trends that emerged from 1960s radicalism and which have dominated the profession for more than three decades: history from below, relativism of interpretation, the politics of ethnicity and gender, and an outlook and practice inspired by Macintyre’s commitment to communism. Critics concerned about this last allegiance have already been dismissed in the press by Macintyre’s friends. They have tried to pass off his membership of the Communist Party of Great Britain and the Communist Party of Australia as a youthful indiscretion, long ago and far away. They have accused those who raise it of vilification and McCarthyism. However, this connection formed the basis of Macintyre’s academic career and remains his most common topic. Six of his books are directly about Marxism, communism and communists. Three of them were produced within the last decade and a half. They are: A Proletarian Science: Marxism in Britain 1917–1933 (1980): Little Moscows: Communism and Working Class Militancy in Inter-War Britain (1980); Militant: The Life and Times of Paddy Troy (1984); Communism in Australia: A Resource Bibliography (co-editor, 1994); The Reds: The Communist Party of Australia, from Origins to Illegality (1998); Communism in Australia: A Supplementary Resource Bibliography 1994–2001 (co-editor, 2002). Moreover, there is still another volume of his history of the Communist Party of Australia yet to be published. Macintyre’s writings about the party do not reveal any of the contrition or revaluation one might have expected following the collapse of the USSR in 1989–91 and the wide acceptance that communism was a more terrible regime, with tens of millions more corpses, than even Nazism. What stands out in the first volume of The Reds is Macintyre’s portrayal of his leading characters, most of them secretly in the pay and doing the bidding of Moscow, as well-meaning and do-gooding. The book was described by one of his old Marxist factional rivals, Bob Gould, as an “essentially Stalinist company history of Australian Communism”. • a part-Aboriginal man who becomes a drover after pastoralists destroy his people’s way of life, and their ceremonies and customs fall into disuse. Writ large, this political caricature of the Australian experience is the curriculum we can expect Macintyre to deliver to the Rudd government. It is no wonder that schoolchildren who have tasted earlier offerings from the same left-wing menu regard Australian history as dreary and uninspiring. Macintyre also harbours a deep distaste for this country’s British heritage. In the concluding chapter of A Concise History of Australia (1999), he is comforted by the prediction that, just as the Romans were displaced in Britain, Aborigines and Asians will eventually supplant the colonisers of British descent in Australia. Just as the only remnant of the Roman empire in Britain is “a thin slice of the island’s multi-layered past”, so too will the British colonisation be overlaid by the culture and practices of other peoples. Yet the belief of Scott and his generation that Australia was largely a transplanted British society is neither ridiculous nor obsolete, given that Britain was the originator of almost every major Australian institution: parliamentary democracy and liberalism, the courts and rule of law, the capitalist economy, the education system, the police and defence forces, the professions, the press, the trade unions and labour parties, all the major sporting codes, not to mention the small matter of the language in which Macintyre composed his allegation. Historians who share Macintyre’s political predilections are spared his disdain. The first chapter of The History Wars begins with the story of Russel Ward, a member of the Communist Party and several communist-front organisations in the 1940s and 1950s, who was denied an academic post in history in 1955 at the New South Wales University of Technology (later the University of New South Wales). Macintyre claims Ward was denied the job because of his political background. He does not mention other reasons he knew had been advanced by the university’s Vice-Chancellor (see the article by Frank Crowley, Quadrant, May 2004). Macintyre presents Ward as a victim of Cold War politics and declares the incident an appalling infringement of academic principle. Poor Russel Ward! Within two years he had gained an alternative academic post at the University of New England in Armidale. He occupied the chair of history there for the next three decades. At Armidale, it certainly gets cold in the winter but it is not Siberia, where Macintyre’s fellow communists sent history professors to their deaths. Moreover, Macintyre himself played a prominent role in a notorious case of academic persecution that dwarfed the temporary inconvenience to Russel Ward’s employment. This was the successful campaign that put an end to the academic career of one of Australia’s greatest historians. “As historians at the University of Melbourne we wish to dissociate ourselves entirely from the widely-publicised attacks which Professor Geoffrey Blainey, an eminent member of our profession, and a professor in our department, has recently made on the Government’s immigration policy with regard to Asians. Professor Blainey speaks and writes on this issue as an individual and not as a representative of historians at this university. “We are particularly aware of the dangers of trying to channel debate on immigration policy into consideration of the suitability of certain ethnic and national groups as immigrants. We are also aware, from many historical precedents, that raising such an issue in racial terms (however much it is couched in the language of reason) becomes an invitation to less responsible groups to incite feelings of racial hatred. Framing debate in such racial terms can become a potent weapon to rouse public fears and prejudices and to direct hostility at certain groups in our society. “We do not wish to limit debate and discussion by Professor Blainey or anyone else on such issues of public concern. But to raise discussion of immigration in terms of race will inevitably draw in and encourage racist groups to come forward and claim legitimacy from what has been said. Two weeks later, at the start of the next teaching term, a group of students at the University of Melbourne picketed Blainey’s lectures and demonstrated against him. Although university security personnel locked the doors to the building concerned, they were unable to prevent the demonstrators gaining entry. Blainey was forced to cancel the lecture and others he planned to give. After that, university security concerns made it impossible for Blainey to speak at any public function on campus. All his scheduled talks at the university for the rest of the year were cancelled. Even towards the end of 1984, when the Students’ Representative Council invited him to give a lecture, the Vice-Chancellor prohibited it on grounds of security. After members of his family were subject to threats of violence, Blainey removed his name and address from the public telephone book and a friend organised private security to guard his home. The university installed a special machine to inspect all incoming mail. The most disturbing incident, not publicised at the time by police for fear of provoking copycats, occurred when someone planted a real bomb on the lawn of another person named Blainey who lived close to Monash University. The immediate consequence of all this was that Blainey, easily Australia’s best and most prolific living historian, was effectively silenced from speaking at his own university. He reverted to an administrative role as Dean of Arts and did not lecture again in the history department until 1987. This violation of academic freedom, clearly the worst in Australian history, provoked no protest at all from the university’s academic staff association, nor from the university council, let along his own departmental colleagues. In 1988, Blainey resigned from the university. Once he was gone, Stuart Macintyre, one of the signatories of the original letter, succeeded to the now vacant Ernest Scott Chair of History. “The unemployment in many Australian cities, more than any other factor, causes the present unease about the increasing rate of Asian immigration. These are the suburbs where the Asians are most likely to settle. These are the suburbs where they are most likely to work. But these are the suburbs where the rates of unemployment tend to be the highest. In the same speech, Blainey disputed the recently-declared opinion of Stewart West, then Minister for Immigration and Ethnic Affairs in the Hawke Labor government, that the “Asianisation of Australia” was inevitable. At the time, Blainey said, West was expressing a view widely held in federal cabinet that Australia’s economy and population would inevitably turn from our historical roots as a British society and accept the consequences of our geographical proximity to Asia. Blainey rejected that kind of determinism: “I do not believe that we are powerless. I do believe that we can, with good will and good sense, control our destiny.” These are all perfectly reasonable arguments to put, and Blainey expressed them in a sober and reasonable manner. Of course, neither Macintyre nor his departmental colleagues publicly admitted any of this in 1984. In Reynolds’ mind, there was no doubt that Blainey’s transgressions deserved severe punishment. In an interview with Helen Trinca in the Australian (February 16–17, 1985) Reynolds said that Blainey “had lost the respect of practically the whole profession” through his intervention in the immigration debate. Hence, “a whole team got together with the jackhammers”. Reynolds admitted to Trinca that the history profession in Australia in 1985 was “obviously left of centre”. His big concern was that Blainey’s views had been taken up to consolidate a right-wing intellectual movement. In his essay in Surrender Australia? Reynolds accused Blainey of providing ammunition for a “right-wing counter attack on the land rights movement”. In 1984 mining executive Hugh Morgan had criticised recent Australian historical work that emphasised frontier massacres and genocide. Instead, Morgan argued that Aborigines had killed one another in internecine conflict at a much higher rate than they died at the hands of white men. He cited Blainey as his principal source. Hence, Reynolds concluded, Blainey had “laid an intellectual foundation for others to use racism as a means of swinging Australian intellectual and political life sharply back towards the right”. This was much the same argument Macintyre and his colleagues had used in their 1984 letter to the Age. Blainey was raising issues, they maintained, that should have been left unsaid. Hence, even the potential use of a historian’s work by someone designated “right-wing” should be sufficient for the historian to engage in self-censorship. On this view, what matters is not what a writer actually says himself but what uses others, in quite different fields and for quite different purposes, might make of his words. Moreover, as Reynolds made clear, no offence would be committed if the work was exploited was for left-wing political purposes; only if it was done for the other side. In other words, the intention of the academic Left was to prevent anyone but themselves expressing opinions about immigration or race. As the media show-trial of Blainey subsequently demonstrated, anyone who failed to abide by this rule was likely to be publicly excoriated and driven from office. It is hard to imagine a more authoritarian form of censorship or a more tyrannical denial of freedom of expression. Coming from people whose profession is supposedly based on the free exchange of ideas, the argument was a disgrace to academic life. That is not, however, what Howard says himself. In 2006, in an address to celebrate the fiftieth anniversary of the founding of Quadrant (see edition of November 2006), the Prime Minister singled out the Blainey affair as one of the great scandals of Australian intellectual life and made clear his own attitude to it. Moreover, Blainey also says he was reluctantly forced from office. In an interview for Quadrant in October 2006, Frank Devine questioned him about his motives. This is dissembling. There is no such loose convention. From the anti-Vietnam War campaigns of the 1960s to the anti-Iraq War protests of the present time, people employed by universities have made public statements on these and other matters of political controversy using the imprimatur of their academic posts—which in the great majority of cases have nothing to do with international affairs or the conduct of warfare—in an attempt to influence public opinion. Moreover, when they act this way, no one else in their academic departments expects they will be thereby identified with the views expressed by the person named. Everybody knows that in these cases, people speak for themselves. The truth is that it is most abnormal for academics to write group letters to newspapers opposing the views of other staff members. The letter in question had nothing to do with preserving the integrity of those who disagreed with Blainey. It was a calculated move to make him feel as uncomfortable as possible within his own department, to generate hostility towards him among the wider university community, and to sanction the actions the signatories expected students to take. In short, it was done to get rid of him. It was a very effective tactic. In the little worlds of academic departments, where collegiality and cordial manners are essential to maintain personal relations, a public rebuke of this kind is a declaration that someone is persona non grata. Coupled with the student demonstrations, which were facilitated by someone in the department informing about the time and location of Blainey’s lectures, the members of his own staff sent a clear message that they found him unwelcome. For all but the most insensitive character, that is quite sufficient to make anyone in an academic department seriously consider his position. Backed by the publication of the essays in the collection Surrender Australia?, which attacked Blainey in virtually every historical field in which he’d written, the whole campaign was designed to diminish his reputation and damage his career. It certainly ended his university career, but Blainey was a good enough historian and a popular enough figure to emerge with his reputation, at least among the reading public, intact. In terms of academic politics, Macintyre’s victory in this affair was considerable. He succeeded to Blainey’s Ernest Scott chair in 1991 and became Dean of the Faculty of Arts in 1999. Since then, he has enjoyed all the power and perks that academic authority allows. 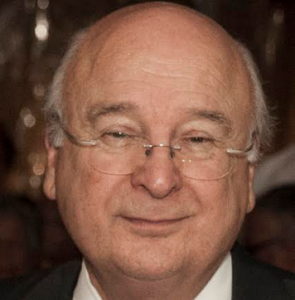 One of the few academics game enough to criticise him, Greg Melleuish, has labelled Macintyre the “godfather of Australian history” for his influence over the high school curriculum and for his ability, as former chair of the humanities panel of the Australian Research Council, to assist his colleagues gain public research funds (Australian, September 3, 2003). Despite his communist background, Macintyre was appointed by the Keating Labor government in 1994 to chair the Civics Experts Group, a body designed to inject more Australian politics into the school curriculum. He remained a member of the Civics Education Group under John Howard’s conservative government, whose then Minister for Education, David Kemp, naively appointed him in 1999–2000 to chair an inquiry into school history. For the 2007–08 academic year, he got himself a stint at Harvard University in the Australian-government-funded position of Professor of Australian Studies. As a bureaucratic operator, Macintyre’s talents are obviously impressive but in the practice of history they are much harder to find. As I noted earlier, at least six of his books are overtly about Marxists and communism and he suffers the fate of all those reared on this brand of formula thinking: his writing is prosaic, his loyalties predictable. In short, he is boring. Beyond academic history and left-wing politics, Macintyre’s name is little known. Outside courses for captive student audiences, his work is largely unread. Informed Australian readers know Blainey well; very few have read anything by Macintyre. In the annals of his profession, the latter’s place is already fixed. He will be remembered as one of the main activists, the most public apologist and the chief beneficiary of the campaign to extinguish the academic career of one of Australia’s few great historians.